We are currently available for treatments By Appointment Only. Call us anytime to schedule an appointment within our operating hours or to answer any questions you have about our services! Lice Clinics of Canada (LCC) was conceived with one goal in mind: to give parents and caregivers the safest, most complete and effective head lice treatments available. We treat head lice in a friendly, comfortable environment, by clinicians your kids will love. 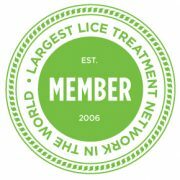 Lice Clinics of Canada is a science based lice removal company, a world leader in lice treatment services, and the world’s largest network of lice removal professionals. Our clinics are locally owned and operated.